The majority of superhero magnum opuses should be put into historical context. Chris Claremont and Frank Miller’s formative Wolverine miniseries in 1982 owes much of its success to coining tropes and ideas that hadn’t existed for the character before, but are defining hallmarks today. Similarly, the darker, brooding elements of Batman wouldn’t have found their contemporary voice without ground-breakers like 1987’s Year One and 1988’s The Killing Joke. Take then, with appropriate context, how ground-breaking Miracleman was. 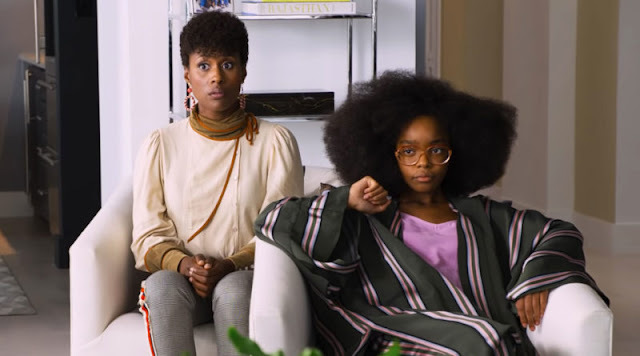 Confronting most of the popular superhero storytelling tools – dual identities, gifting of powers, kid sidekicks – and brutally deconstructing the rosier, apple-cheeked paradigm of the Golden Age is something we’re fairly familiar with in a post-Watchmen world. In 1982, four years before a big blue god made a smiley-face on Mars, they had no clue what was about to hit them. I don’t want to reveal too much about this digitally-remastered classic for those who’ve escaped spoilerage (and, if you have, congrats on covering your ears for three decades). In a nutshell, A Dream of Flying (re)introduces Mike Moran, a British journalist who has recurring nightmares of being a superhero. Turns out he’s actually unaware of his secret identity as MIRACLEMAN, a red-and-blue-clad crimefighter that mysteriously went missing for nineteen years during a battle in space with his two younger sidekicks. That’s the skeleton of the first issue, mind. From there, A Dream of Flying interrogates questions of realism and dramatic impact that, in a genre scarcely years away from the redefinitions that would arrive in Watchmen and The Dark Knight Returns, hadn’t been asked before. 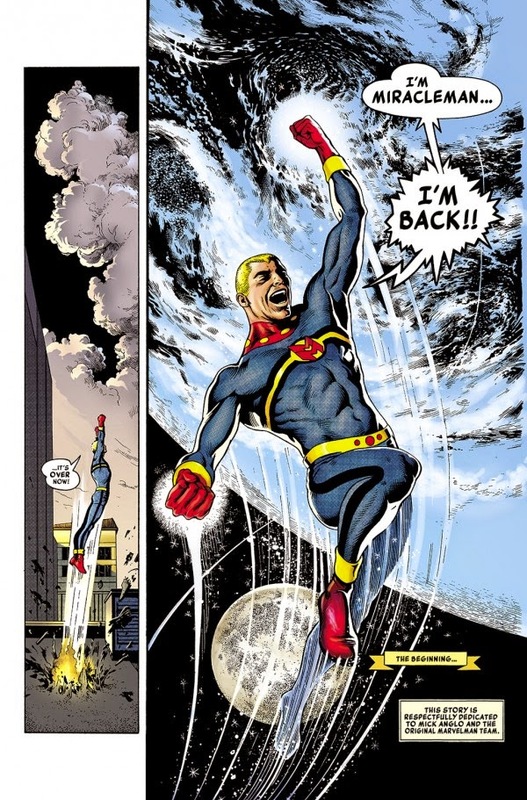 Miracleman was actually repurposed by Alan Moore (credited in this new collection by the unsubtle pseudonym of ‘The Original Writer’), hailing from an old 1950s comic originally called Marvelman and written by Mick Anglo. 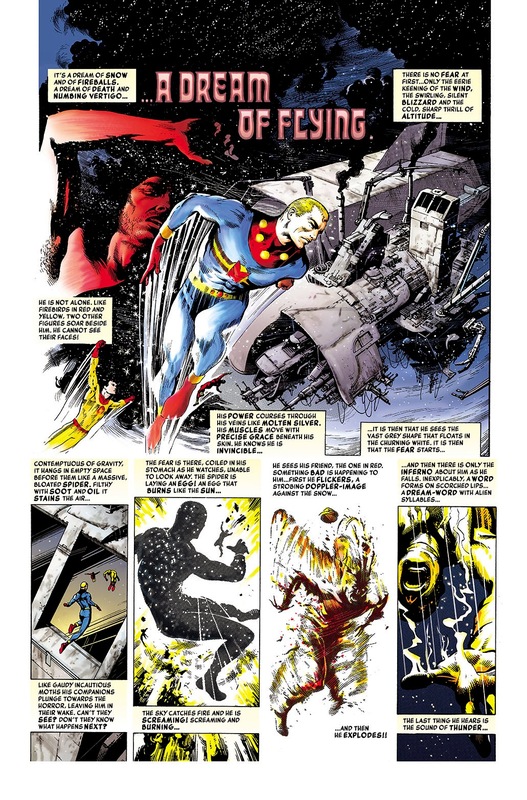 Rather than completely disregarding the much older, consequence-free days the character had before falling under Moore’s pen, the 1950s material forms much of the dark, deconstructionist fodder Moore deftly uses to illustrate some horrifying implications not just for Miracleman, but for almost all superheroes birthed during the Golden Age. It’s remarkable just how much of Miracleman has held up as a story with contemporary context. One could easily mistake it for being a series recently written – updated and gorgeous art by Alan Davis and Gary Leach aside – for the mature content, clever scripting and simultaneous acknowledgment and defiance of older comic book tropes. 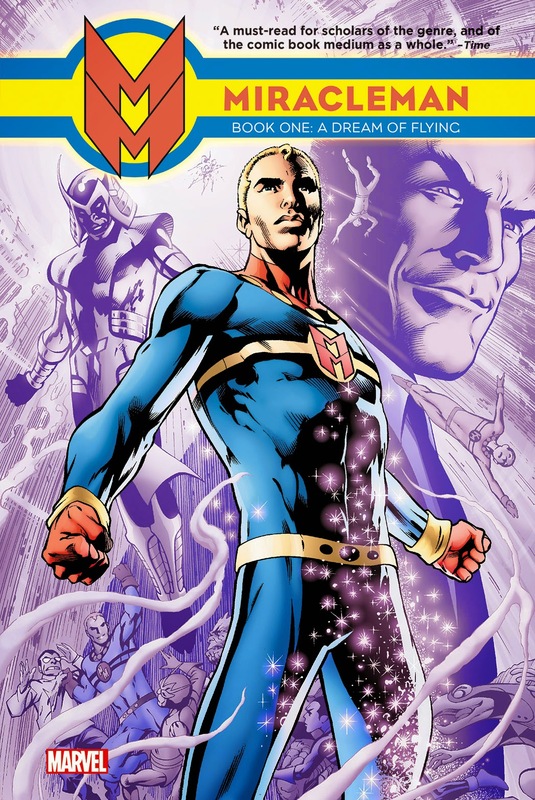 Both Mike Moran and Miracleman himself are distinct characters (though partly for dramatic reasons as well as good writing), with both the setting and plot intelligently constructed around them. For good or ill, the book is most definitely a British product. Cockney slang, Margaret Thatcher references and a shout-out to The Avengers (the spy show, not the superhero team) are the tip of the iceberg for the United Kingdom feel the book engenders. It’s actually refreshing reading a superhero classic that wasn’t penned with American characters, even though some of the bad guys speak with the kind of over-the-top loquaciousness that only British villains seem to be capable of expounding. My only concern, marking the book down a couple pegs, is what’s after the main story. There are two one-shots, each dealing with another character called the Warpsmith. Only one of them – a portentous what-if future time-travel episode – actually features Miracleman. The second story shows the Warpsmith and his kin. This latter story is kind of like if Green Lantern was written by Grant Morrison and Alexander Jodorowsky whilst huffing paint and listening to Enigma; it’s interesting, and provides enough of a unique idea to form its own story, but it’s quite convoluted and very out of place given the preceding Miracleman-centric narrative. Your mileage may vary on that one. Apart from that, the behind-the-scenes art materials at the end of the book are gorgeous, and a delight for collectors. Whilst not so much into the sketches and drafts of the artwork myself, I highly recommend checking out the cover gallery following them. Each cover is a visual joy to behold. You absolutely owe it to yourself to check out A Dream of Flying, but I’d definitely keep that historical context in mind. It’s an experience which, for when it was made, is unlike anything else.